Many people in the Lake Minnetonka economy say saving money is a goal in 2016. The best way to save is to have a plan. Depending on your stage of life, a savings plan requires specific financial responsibilities and actions. While there's no such thing as a plan that fits everybody's needs, here are some suggestions. Baby Boomers. If you're a baby boomer, aged 51-69, you're in good company. Your generation comprises over 25% of the total population of the U.S. Baby boomers are typically in better shape financially than most other folks. However, like most boomers, you probably don't have much money in your retirement account. Just 60% of baby boomers report having any money saved for retirement. In addition, most boomers don't have a retirement pension, leaving them to rely almost solely on Social Security. The Strategy for Baby Boomers? • Many baby boomers have gone or are planning to go back to work. • Consider trying to get by on less by changing your lifestyle. For example, is downsizing your home an option? • Shift your retirement savings into high gear by saving more, faster. • Make sure your investments are allocated correctly. Statistics show less than half of all baby boomers are satisfied with theirs. • Consider long-term care insurance. Gen Xers. Generation X members, aged 36-50, are in the midst of advancing in their chosen professions and are busy raising children. Some are also caring for elderly parents. Their biggest challenge is managing cash. This age group is facing the most expensive years ever. The Strategy for Gen Xers? Pay yourself first. Set aside a certain amount of each paycheck and put it in savings. Then pay the bills, household expenses and other obligations that keep the Lake Minnetonka economy healthy. Consider "forced savings" whereby your bank or employer automatically drafts an amount to fund a savings or retirement account. Avoid buying a more expensive home than you can afford. Paying on a big mortgage each month isn't a good idea and will hamper your ability to save. Millennials. Millennials, aged 19-35, are surprisingly better at managing money than Gen Xers. Perhaps it's because they are concerned about the job market. Many had a harder time finding a job after college than they anticipated. However, millennials tend to make financial decisions "on the fly" and fail to prioritize long-term needs. Retirement – probably because they view it as being light years away – isn't on their radar. They are least likely to contribute to their employer's retirement plan or to open IRAs. Most millennials rent these days. Managing that cost is most important. Consider living at home a little longer – even after college. Getting rid of student loan debt should be a priority. Consider a loan repayment plan based on your income level. Pay that debt as soon as possible. Be frugal with discretionary income. Set a budget and give yourself a monthly allowance. Failure to do so could result in splurging. Watch your credit score. Since all large purchases will probably depend on a good credit score, make sure you pay your bills on time and not get over-extended in the Lake Minnetonka economy. With a little planning and financial discipline you can save money at any age. Get started today. 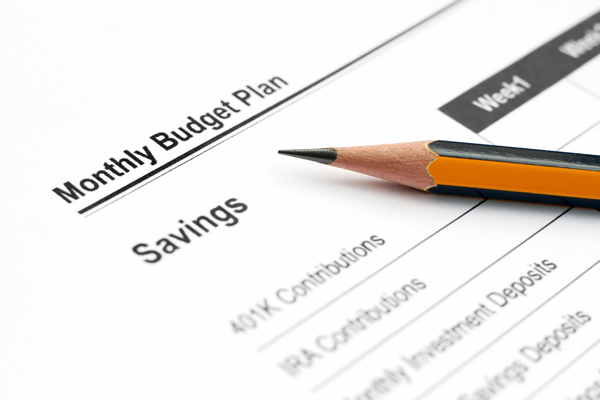 You may be surprised how easy it can be to set aside money for when you may need it the most. Your Lake Minnetonka home insurance should be among the items you review now that the new year is here. Since home maintenance is linked so closely to insurance it's probably a good idea to consider the following checklist to make sure your home is as safe as possible. Alarm testing. Home alarms such as smoke detectors, carbon monoxide detectors, burglar alarms and fire alarms should be tested at least quarterly. Check the batteries and any other connections to make sure they are working properly. Use this time as an opportunity to review your household emergency evacuation plan. Make sure your family knows what to do and where to go in the event of a fire or weather-related emergency. The roof and gutters. It's a good idea to check your home's gutters. Leaves, tree branches and other debris can accumulate in your gutters. When that happens rain won't travel down the spout from the gutters. That can cause problems with water leaking into your home's ceilings and walls. Water damage is a common, but preventable, Lake Minnetonka home insurance claim. Don't forget the roof. Take a look at the shingles to make sure none are damaged or missing. Inspect your attic and ceilings for potential leaks that may have gone unnoticed. Your home's foundation. One area many homeowners frequently ignore is their home's foundation. Take a walk around the outside of your home. Look for noticeable cracks or separations in the foundation. Small cracks are a normal occurence as homes settle over time. Still, it's best to use caulk to seal them to prevent further damage. Keep an eye on them in the future to see if any other separation occurs. Sealing doors and windows. When air passes through gaps around doorframes and windows, it costs you money. That's because higher heating or cooling bills result from air escaping your home. Inspect the spaces around your doors and windows and seal them. Remember, keep warm air inside and cool air outside — and vice versa. Heating and cooling systems. While you're at it, check your heating and air-conditioning systems. Having a licensed expert inspect your systems is recommended, but there are preliminary steps you can take. Make sure your vents are clean and unobstructed. Change your filters regularly to ensure proper air flow. 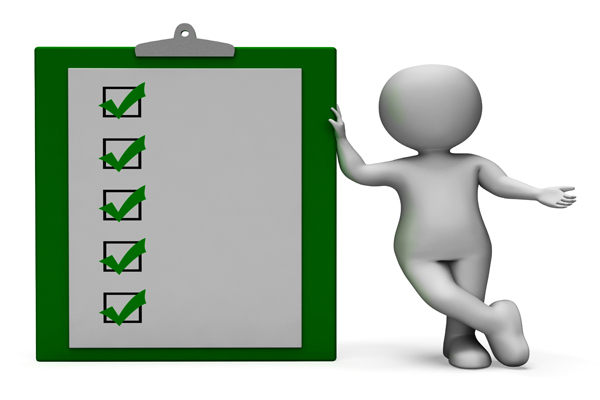 Create an inventory list for Lake Minnetonka home insurance purposes. Write down everything in your home and the approximate value of each item. Many homeowners include a video checklist of their possessions in their home inventory. The more information you can give your insurance company the more likely your claim can be processed as smoothly as possible in the event of a fire or other disaster. Be sure to store the home inventory in a safe place like your office, a safe deposit box or a fireproof safe. It's important to understand each aspect of your Lake Minnetonka home insurance policy and the factors mentioned above. If you have questions or are unsure of what is covered, call your insurance agent. Take time to review your coverage amounts, too. With rising home values you may need to increase coverage. Plus, you may qualify for new discounts if you've made certain improvements to your home. Lake Minnetonka mortgage experts say 2016 may bring greater borrowing opportunities for homebuyers. Although you still have to qualify for the amount you want to borrow, more lenders are reporting a loosening of credit standards. Fannie Mae says loan underwriting is expected to ease in the near future. Let's examine why this may be the case and what the effect may be. Relaxed credit requirements will likely help the housing market. Tight credit standards and a short supply of affordable homes for sale have been cited as reasons for the housing market's slow recovery. In a recent survey of Fannie Mae lenders, 16% said they expect a relaxation of credit standards in 2016. Lenders expecting a tightening of standards dropped to 2%. The survey was conducted by Fannie Mae and represented a cross-section of nearly 200 lending institutions. While credit may improve, affordability for first-time home buyers will remain a challenge. With the number of starter homes on the market, home price appreciation is still higher than growth in household income. However, the easing of credit standards should provide some assistance to offset affordability. As the prospect of rising interest rates looms in 2016, many lenders expect more competition. This may persuade them to ease some of the lending safeguards added after the last housing crash. Fannie Mae, Freddie Mac and the FHA have all worked to clarify lender liabilities for bad loans. They have been pushing hard for lenders to ease their credit practices to help the housing market recover. In addition, Fannie Mae recently announced a new credit scoring program. Dubbed "trended data," the scoring model shows a broader review of the credit history of borrowers. That should improve the credit scores of some home purchasers. 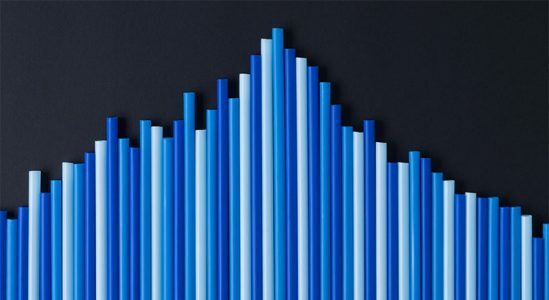 According to a recent study by TransUnion, trended data would increase the percentage of borrowers in the "super prime risk" tier from 12% to 21%. Those borrowers would get better access to new mortgage loans at the best rates. Despite the potential relaxation in credit standards, a recent survey by the National Association of Realtors revealed roughly 66% of consumers perceive mortgages as "somewhat difficult" or "very difficult" to obtain in today's market. Find more articles about the Lake Minnetonka mortgage market in our Lake Minnetonka Mortgage Info to your right just below Lake Minnetonka Real Estate Categories. We also post on Facebook and Twitter. Follow us there for other Lake Minnetonka mortgage information, too. The Lake Minnetonka housing market can expect a continuation of many of the factors it experienced in 2015. Zillow recently released their 2016 predictions for the housing and real estate markets. Let's take a look at what we can expect. According to Zillow, many of the recent market trends will linger longer. Some will turn into challenges facing prospective home buyers. While many Americans have known this for awhile now, home ownership simply might not be a reachable goal for some. First time home buyers will be older. In 1975, the median age of a first time home buyer was 29. Today, it's 33. This trend is expected to continue as millennials delay important life decisions such as getting married and starting families. In addition, many young people will continue to have a hard time moving from being renters to prospective home owners. The available inventory of starter homes remains low and many millennials have been unable or unwilling to save money for a down payment. Home price growth will still outpace income. While home values will grow at a slower rate than they did in 2015, they will still rise. Experts predict a return to increases of around 3.5%, which is the historical average. Home affordability is expected to get worse because income growth has remained stagnant — especially at the bottom end of the job spectrum. It is expected that the bottom third of working Americans will be priced out of home ownership. Rents will continue to rise. The rental market is a classic case of supply and demand. There is a high demand for affordable rental units and currently a limited supply. Zillow expects that trend to continue well into 2016. Suburban areas will grow in popularity. The affordability crisis will dramatically affect the urban centers. This means people will seek housing in the surrounding suburbs. There they will expect many of the amenities the cities offer – and close access to the urban centers – but with more affordable housing costs. Get more updates on the Lake Minnetonka housing market and news that affects the market by checking back here from time to time, and by checking out the other articles in our Lake Minnetonka real estate news section of articles under Lake Minnetonka Real Estate Categories to your right. Lake Minnetonka taxes can throw some retirees a curveball if they’re not knowledgeable or prepared. Like most Americans, you’ve worked hard all your life and saved or invested for years to be able to enjoy retirement. What you don’t know about taxes could make retirement a little less enjoyable. IRA or 401(k) accounts. If you withdraw money from a traditional IRA or 401(k) you will be taxed as if it was ordinary income. Withdrawals of earnings from a Roth IRA, however, are tax-free if you’re at least 59 1/2 and the account has been open for a minimum of 5 years. Remember, contributions to your Roth IRA can be withdrawn at any time tax-free since the contributions were made with after-tax money. Regarding taxable accounts, the tax liability depends on the kinds of investments you own and how long you’ve had them. Savings accounts and CDs. Interest is taxed as ordinary income. Stocks, mutual funds and other investments. You will pay no tax on the capital gains from the sale of stocks or mutual funds if you’re in the 10% or 15% tax bracket — provided you’ve owned those investments for a year or longer. People in higher tax brackets will pay 15% on long-term capital gains. Government pensions or private retirement pensions. These retirement pensions are usually taxable at your ordinary income rate. Social Security benefits. Surprising to many retirees is that a portion of your Social Security benefits may be taxable. The tax liability depends largely on your other sources of income and their amounts. Up to 85% of your Social Security benefits could be taxed. The impact of state and local taxes. If you move out of state, you could be facing a higher tax bill. While seven states have no income tax, they compensate by having higher real estate taxes or retail sales taxes. Still, many states with income taxes make retirement attractive by offering retirees generous breaks that may help to lessen or erase your tax bill. For more information on Lake Minnetonka taxes, see our articles to the right under Lake Minnetonka Real Estate Categories. New home sales comprise roughly 9.3% of the total housing market. The original forecast had been for 505,000 units in November. Despite falling short of projections, sales were up 9.1% compared to November 2014. The increase is a positive sign to many economists who worried about a downturn in new home sales – especially in the wake of a recently reported drop in the resale of single family homes. 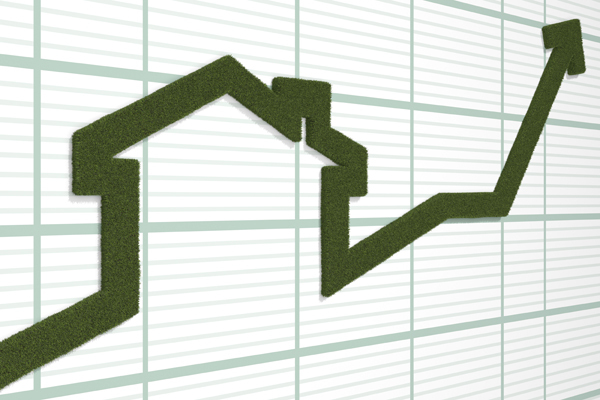 According to the National Association of Realtors, previously owned home sales decreased 10.5% during November. The drop was blamed in large measure to the new disclosure regulations that caused delays in loan closings. When a contract is signed to purchase a new home, that sale is immediately counted in the reported data. Those sales, therefore, were not affected by the new lending disclosure rules. Mortgage insiders say the new rules have added more time to the loan closing process. December's existing Lake Minnetonka home sales will be reported soon, and experts say a rebound is expected. The higher numbers are anticipated because of a tightening employment market which is slowly but surely increasing wages. New home inventory increased to 232,000 in November, a rise of nearly 2.2% – the biggest jump in nearly six years. Still, the supply of new homes is down 50% compared to the housing boom levels. And, despite homebuilders across the country gearing up for new construction fueled by the promise of higher sales prices, inventory is still a concerning factor. Economists say using November's recent sales trend, the current supply of houses would take 5.7 months to sell. In October, the supply was projected to take 5.8 months to sell. Contributing to the slight slowdown is the rise in the median sales price of a new home of .8% compared to this time last year. The median home price is $305,000. Find more articles on Lake Minnetonka home sales by reviewing our Lake Minnetonka Real Estate News section to your right just below Lake Minnetonka Real Estate Categories. We also post articles on a regular basis on Facebook and Twitter. Until recently the Lake Minnetonka housing market has been missing the segment of the population known as "millennials." That generation has been described as having poor spending and saving habits. Many have finished college and are facing repayment of student loans. On top of that, rents have skyrocketed in recent years – increasing at a faster rate than incomes – making it difficult to save money for a down payment to buy a home. A recent report by the Federal National Mortgage Association (Fannie Mae) cites a larger number of millennials are becoming homeowners. The report says with the exception of the last housing boom from 2000-2005, the number of young, first-time home buyers has been dropping for the last 20+ years. The decline began during the Great Recession and that part of the Lake Minnetonka housing market never fully recovered. New information provided by the U.S. Census Bureau's American Community Survey shows the number of homeowners aged 25-34 fell an average of 300,000 people each year between 2007-2012. The decrease came despite the growth in the younger population during that time. So, what does this mean for the Lake Minnetonka housing market? Since buying a home will be a new experience for the young adults, many don't know where to start in the home buying process. They may not know there are mortgage lending programs with low down payments and other advantages for first-time buyers in the Lake Minnetonka housing market. Millennials are comfortable with online information research and transactions. Making it easier for them to search, virtually "visit" homes and apply for financing will be key in growing the number of potential young home buyers. We have more information on the Lake Minnetonka housing market under various sections in our Lake Minnetonka Real Estate Categories to your right, and we also publish updates on Facebook and Twitter. Look for us there as well. As predicted by some in the Lake Minnetonka mortgage industry, sales of existing homes fell sharply in November. Insiders say the new consumer disclosure rule was to blame. 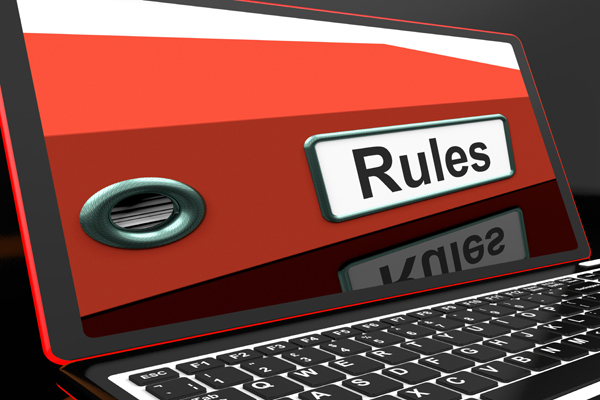 The rule resulted in delays in many mortgage loan closings. 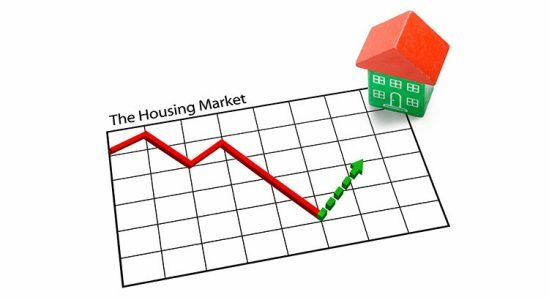 The sale of existing homes dropped 10.5% during November from the previous month, according to the National Association of Realtors. With a seasonally adjusted annual rate of slightly more than 4.75 million homes sold, it was the slowest month for existing home sales in more than eighteen months. The decline follows a 3.4% decrease in October, as well. The chief economist for the National Association of Realtors, Lawrence Yun, said the decline in demand was due, in part, to the Consumer Financial Protection Bureau's recent new disclosure rules. The requirements, known as "Know Before You Owe" or TRID (Truth in Lending Act and Real Estate Settlement Procedures Act integrated disclosures,) went into effect in October. Confirming the fears of many in the Lake Minnetonka mortgage industry, the disclosure forms have increased the time needed to close a loan. The delays pushed closings that should have taken place in November into December, sometimes January. Lower home inventory and higher asking prices were also responsible for the drop in home demand. The combined impact meant that existing home sales dropped nearly 4% in November compared to November of 2014. That decline was the first year-to-year decrease since September of 2014. As written in a previous article on this topic, mortgage lenders feared the new changes would create technological hurdles requiring additional software programs and thousands of man-hours. 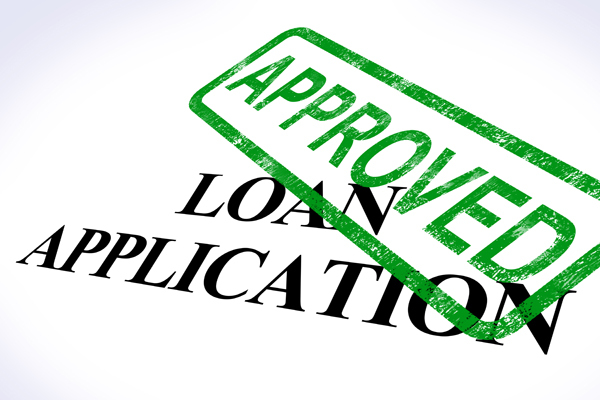 The disclosure form given to the consumer after the loan application begins — known as the Loan Estimate — covers the rules as to what can and cannot be done by the lender. It includes cost estimates approved by the borrower in writing before the application process can continue. The Closing Disclosure must be given to the borrower within three business days of closing. It shows all the costs paid by the consumer. If the borrower wants to make any changes during the three-day window, the three days start over. As expected, this has caused delays and the "domino effect" creates additional delays in loan closings. Find more articles about the Lake Minnetonka mortgage market by checking out our Lake Minnetonka Mortgage Info to your right just below our Lake Minnetonka Real Estate Categories. We also post on Facebook and Twitter. Follow us there for many other Lake Minnetonka mortgage related tips, too.